Eliza joined our Stuart Park location in April 2016 after relocating from the Victoria, and brings with her a passion for caring for others and intelligent practice nursing. Originally from Melbourne, Eliza obtained her Bachelor of Nursing in RMIT in 2000.Gleaning invaluable experience in both Urology and Neurology wards at Box Hill Hospital, Eliza then moved to Ouyen, a small country town in Victoria, where further placements allowed Eliza to upskill in Acute Care, Urgent Care and Aged Care. Upon meeting her future husband Pete in Ouyen, a trip to London ensued, where Eliza continued to practice nursing through a variety of mediums including agency nursing, Home Medication Review and administration and wound care. After 2 years of working in the Northern Hemisphere, Eliza returned to Australia, with an impressive resume, a flair for patient interaction and a penchant for 360-degree patient care.Eliza spent a further 7 years as a Community Nurse at the local hospital in Ouyen, which has fine-tuned her affinity for hands on nursing in a busy environment. 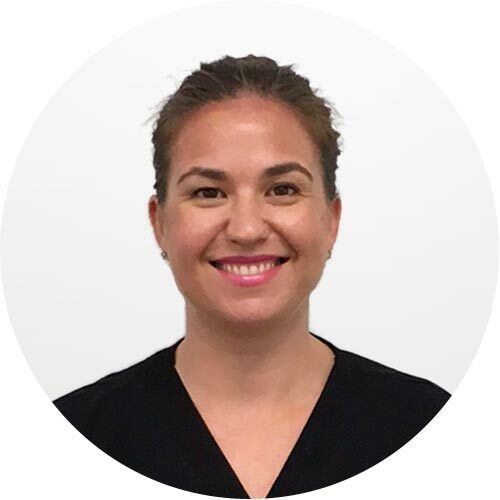 Since returning to Australia, Eliza has since been married, has two children and now enjoys the tropical Darwin lifestyle after her relocation to the Northern Territory in February 2016.